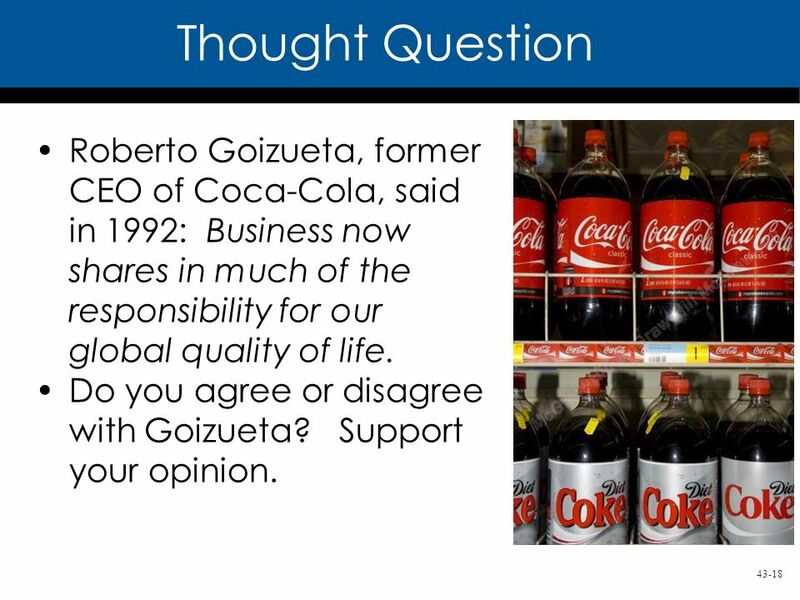 18 43-18 Thought Question Roberto Goizueta, former CEO of Coca-Cola, said in 1992: Business now shares in much of the responsibility for our global quality of life. 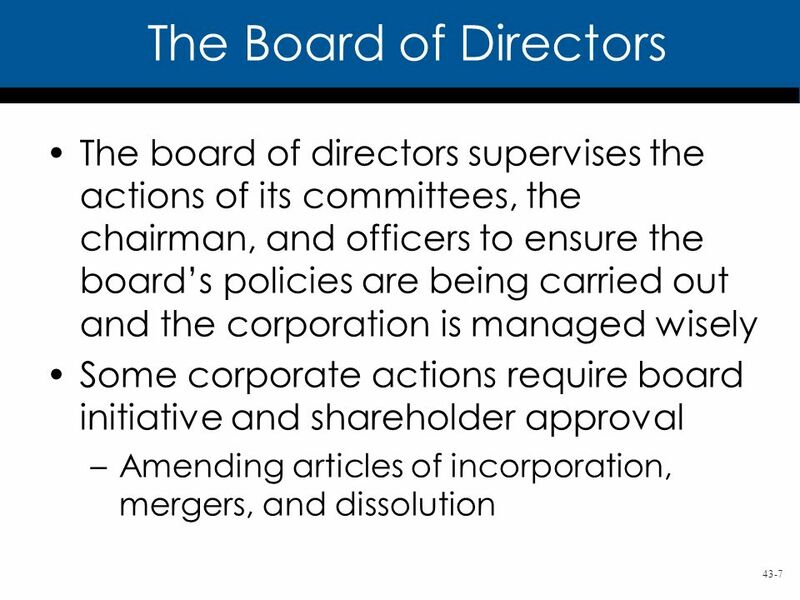 Do you agree or disagree with Goizueta? 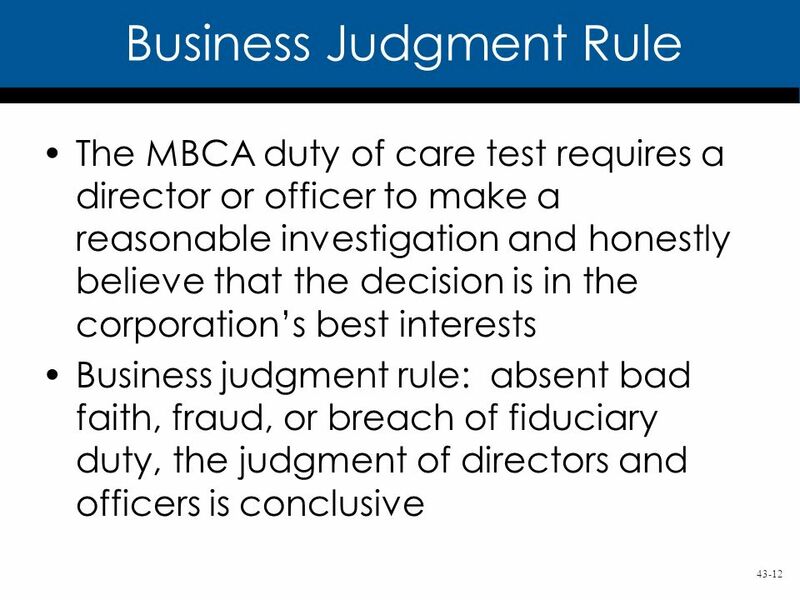 Support your opinion. 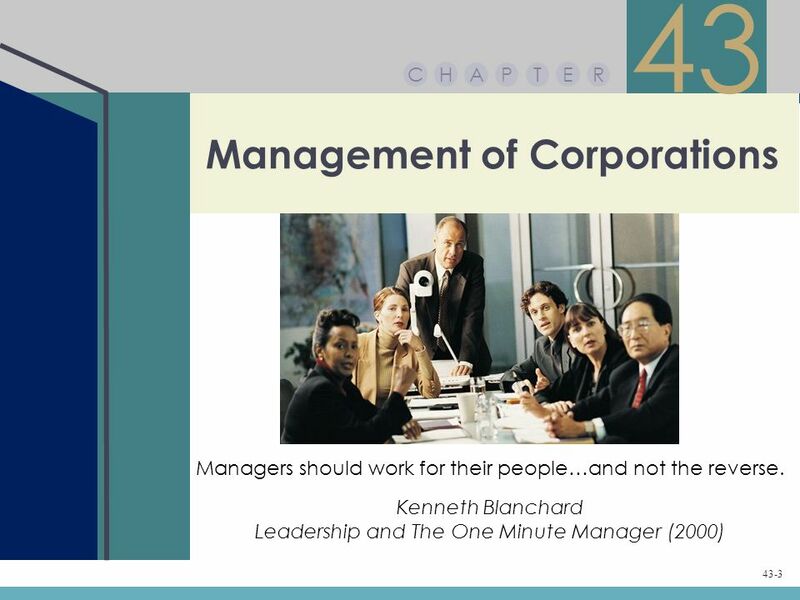 Download ppt "43-1 Copyright © 2013 by The McGraw-Hill Companies, Inc. All rights reserved.McGraw-Hill/Irwin." 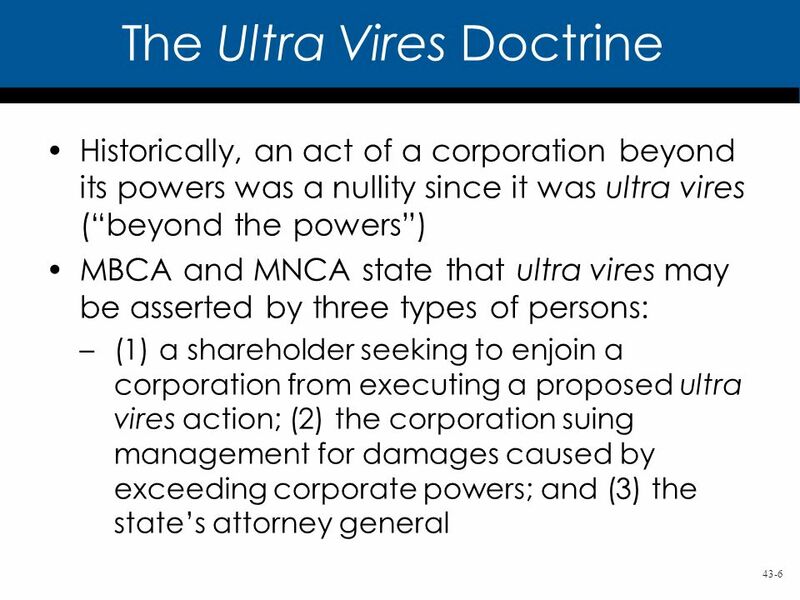 What is the Goal of the Company? 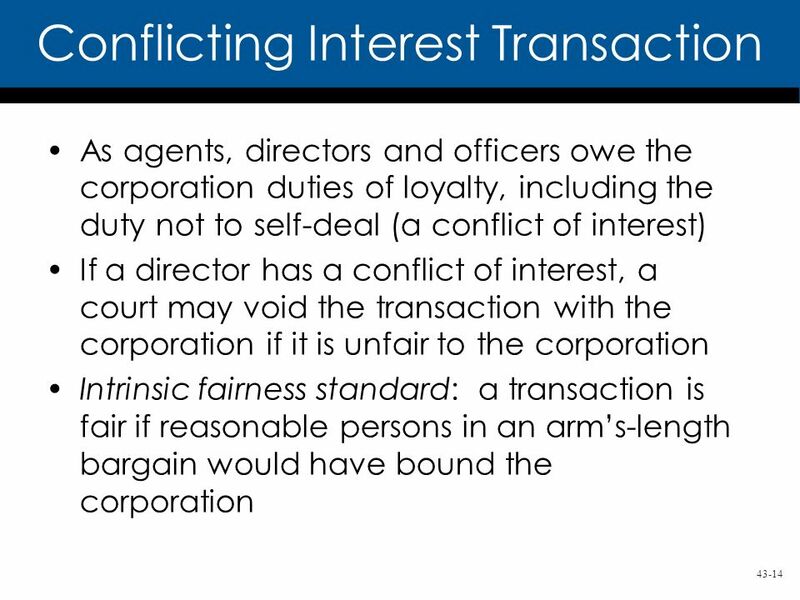 © 2004 West Legal Studies in Business A Division of Thomson Learning 1 Chapter 39 Corporations – Merger, Consolidation, and Termination Chapter 39 Corporations. 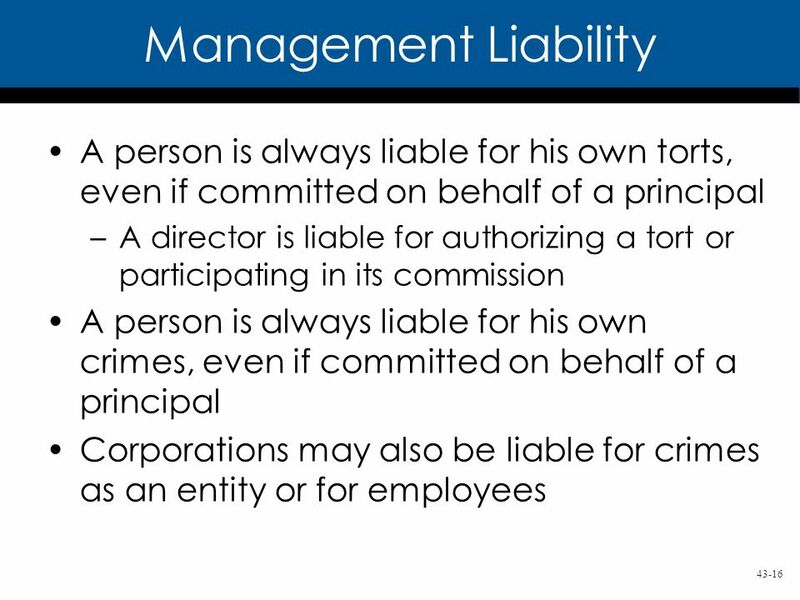 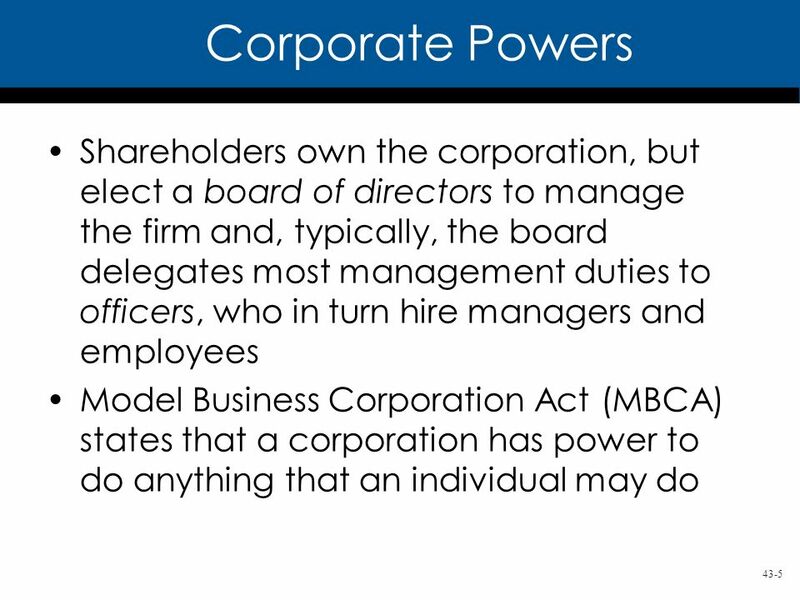 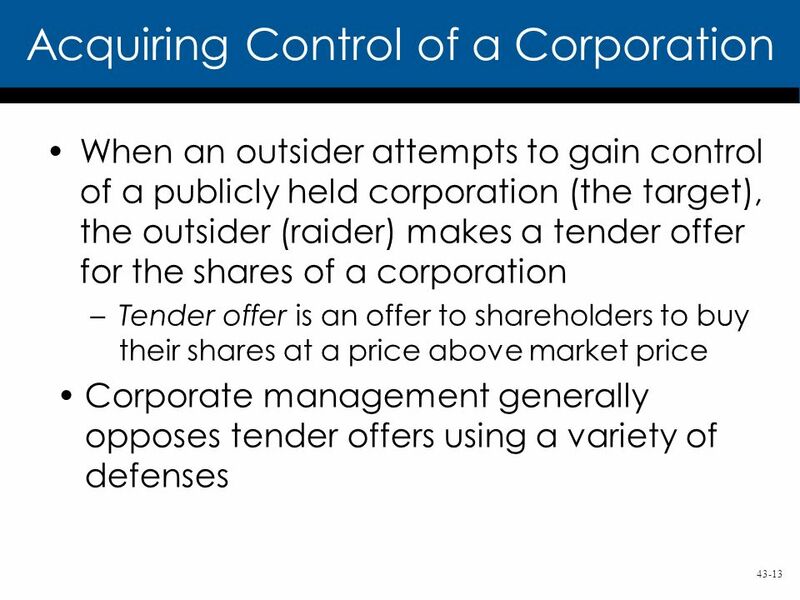 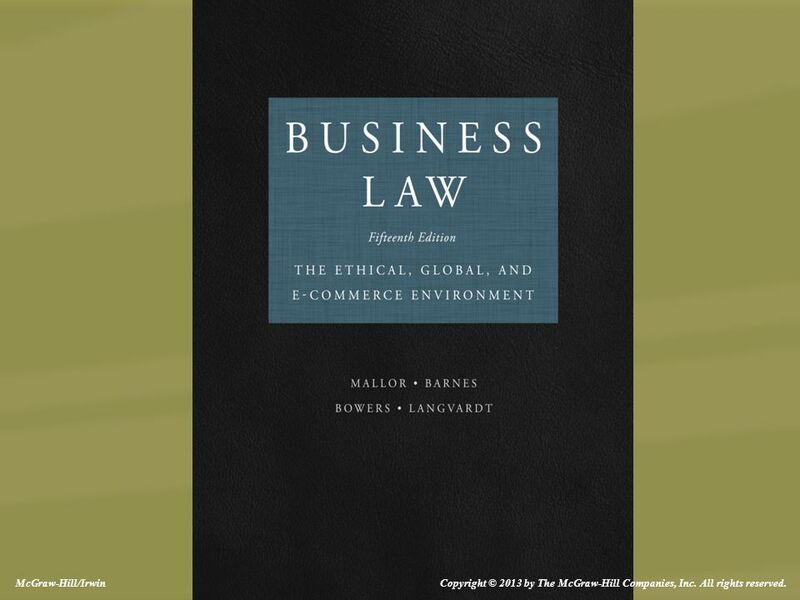 © 2004 West Legal Studies in Business A Division of Thomson Learning 1 Chapter 38 Corporations – Directors, Officers, and Shareholders Chapter 38 Corporations. 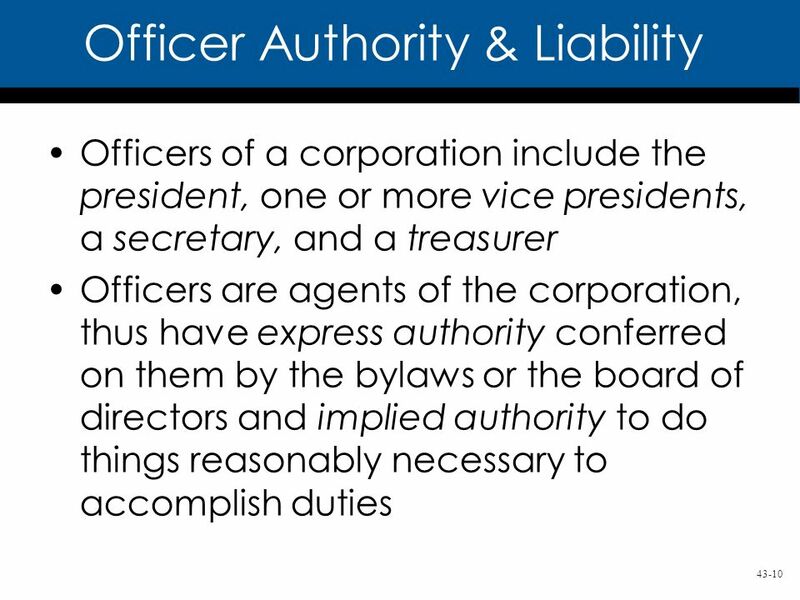 Paul, Hastings, Janofsky & Walker LLP BOARD OF DIRECTORS RESPONSIBILITIES Presentation To Ironwood Advisory Conference Buying and Selling a Company in. 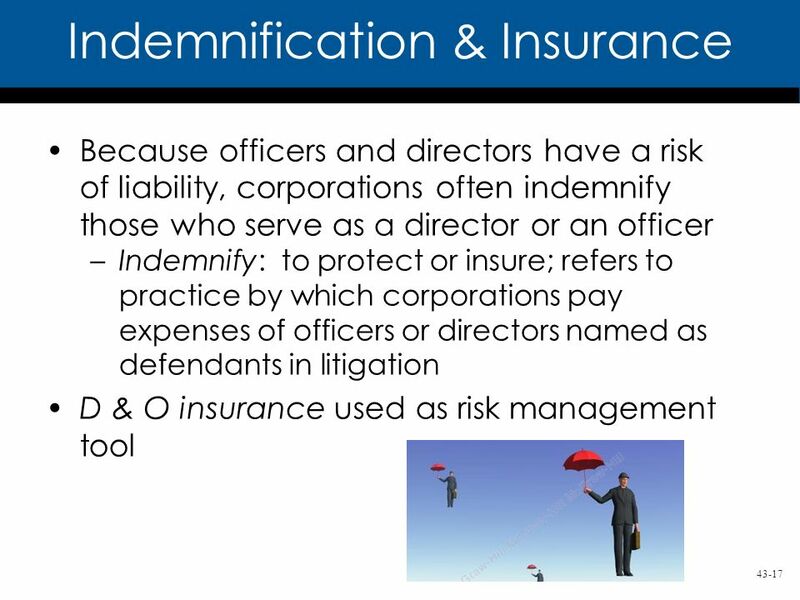 © 2010 Pearson Education, Inc., publishing as Prentice-Hall 1 AGENCY FORMATION AND TERMINATION © 2010 Pearson Education, Inc., publishing as Prentice-Hall. 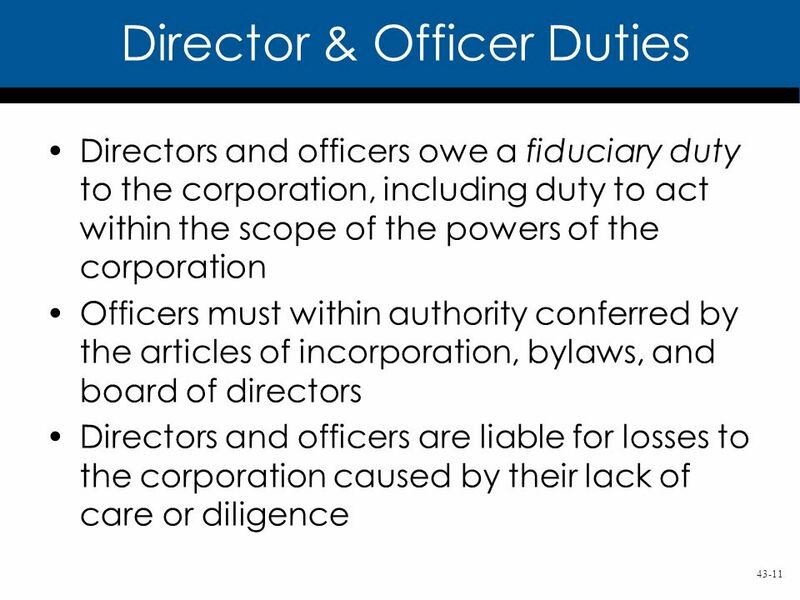 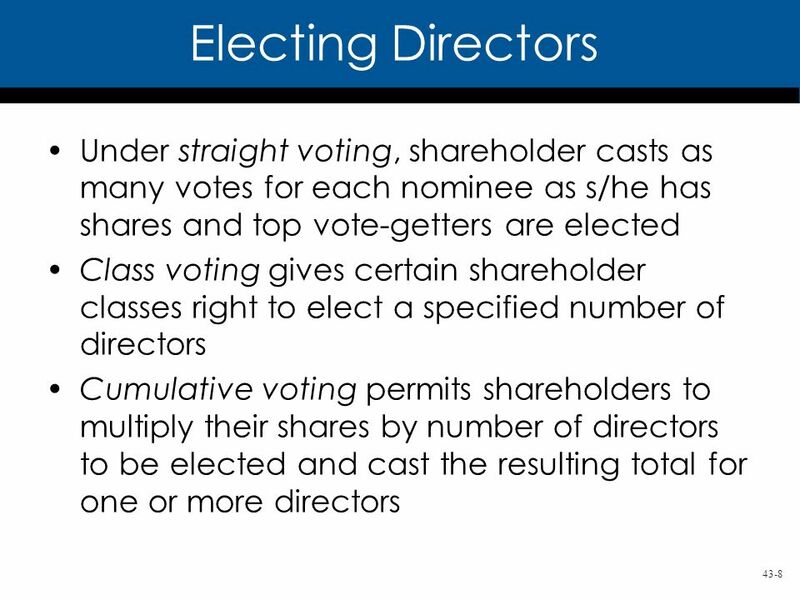 © 2007 Prentice Hall, Business Law, sixth edition, Henry R. Cheeseman Chapter 37 Corporate Directors, Officers and Shareholders. 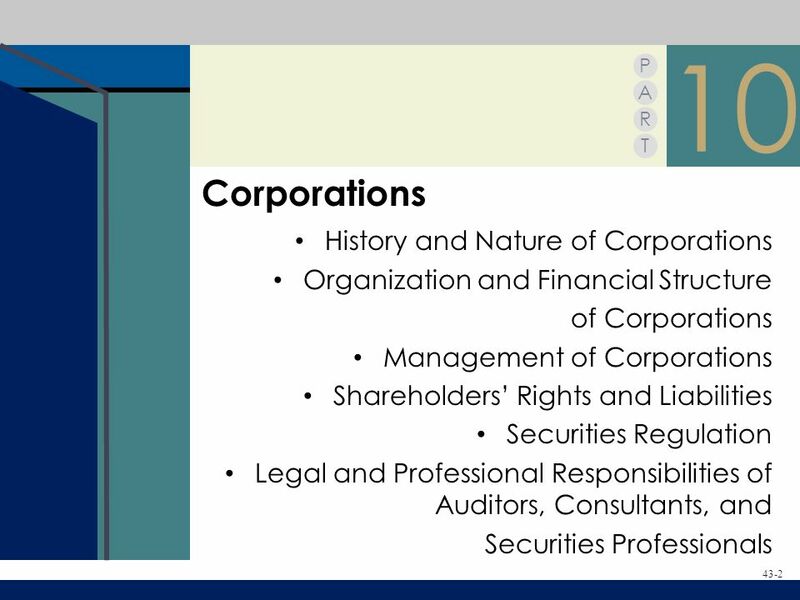 P A R T P A R T Corporations History & Nature of Corporations Organizational and Financial Structure of Corporations Management of Corporations 10 McGraw-Hill/Irwin.